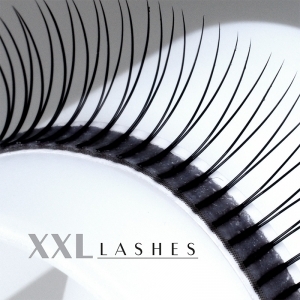 Y Lashes have the shape of an Y, which results in a fuller look. Double lashes are joined at the base to create volume and dimension. Applying 1 gives the effect of 2, which of course also means double effect in time and efficiency. They are only available in trays, not in open cases. Brand-new on the market and already available in the XXL Lashes Shop are boxes with strips in 8 different lengths (8, 9, 10, 11, 12, 13, 14 and 15 mm). We recommend the use of crystal / rhinestone for an outstanding, ornamental look.